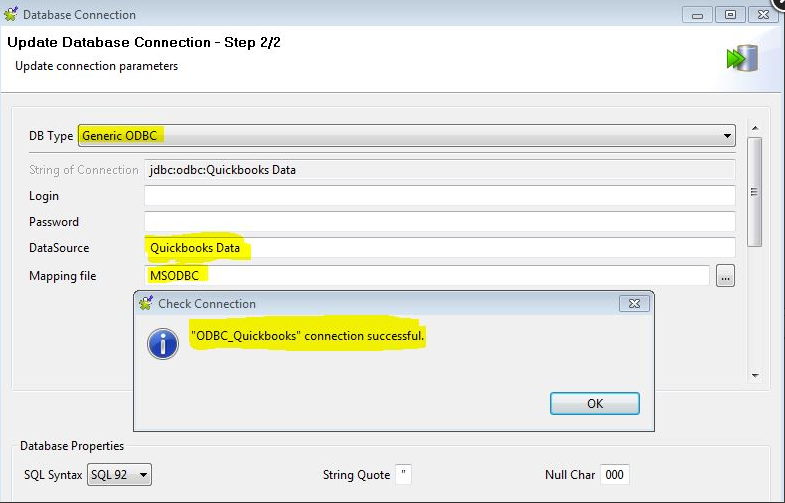 QuickBooks Enterprise comes with a tool called QODBC that enables connecting to a QB database to read and write data. I have installed it, and I can successfully see QB data by connecting with Excel. I am attempting to be able to read data in Talend Open Studio 5.4.1 by using the Generic ODBC connector. I can get a successful connection message when setting up the database connection, but when retrieving the schema to see the tables, it shows with no tables. There are no errors or any other indication - just no table listing. Please query table directly instead of loading tables. Use a tDBInput component, and use a SELECT query & Click on "Guess Schema"